Valencia are a perennial Champions League squad, as they have qualified for the Champions League in four of the past six years. Last year, they were knocked out by Schalke in the round of 16. Needless to say, they should not be overlooked. Juan Mata will have an immediate chance to face his old club. If things go their way, they could even win this group. Bayer Leverkusen are not a household name across Europe, but they have steadily improved over the past few years. Last year, they finished second in the Bundesliga. 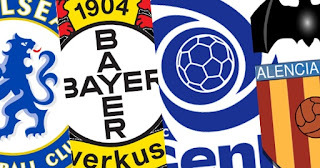 Experience is key in the Champions League, which could prove to be troublesome to Leverkusen. However, they are talented enough to cause trouble in the group, but have little chance of progressing further. KRC Genk are returning to the Champions League group stage for the first time in nine years. Even though they are inexperienced, the Belgian side may prove to be a tough squad to break. They do not stand a good chance of advancing, but they could steal some points and make the last few games interesting.